Breaking Travel News reporter Eleanor Hawkins caught up with bmi regional chief commercial officer, Jochen Schnadt, on a recent trip to Derry as the airline celebrates the fifth anniversary of its independence. On the agenda were future plans for the airline, with a particular focus on what strategies the carrier planned to employ to overcome the potential pitfalls of Brexit. Working out of the East Midlands Airport, bmi regional currently employs around 400 staff and operates 400 scheduled flights a week from the UK. The route map covers 11 European countries – and is expanding all the time. Currently, nearly 50 per cent of the carrier’s flights don’t run through the UK, so it is important for the company to negotiate a way to operate in a post-Brexit world. bmi regional chief commercial officer, Jochen Schnadt, explained to Breaking Travel News that bmi regional’s mission is to create a streamlined service for their clients - orchestrating a door-to-door (or office-to-office) service to transport passengers as swiftly and seamlessly as possible. He was, however, quick to dismiss the term “auxiliary”. Carriers currently use the word to cover offerings such as an office-to-airport taxi service, an option to reserve parking spaces for clients, or allowing access to airport lounges, all as part of an executive service. Schnadt argues these services are the future of airline industry and should thus not be considered added extras. For this reason, bmi regional has partnerships with Virgin Trains and leading car rental company Sixt to facilitate this, allowing the airline to negotiate fast-track check-in packages for their routes. 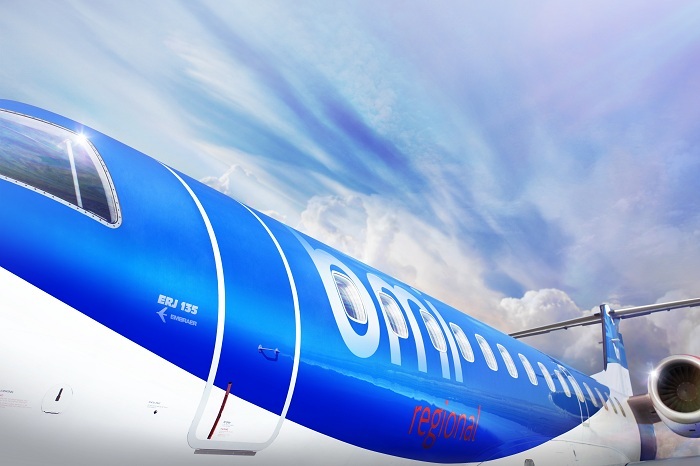 bmi regional took over the London Stansted-Derry route from Ryanair in March this year, increasing the frequency to twice-daily Monday-Friday in order to catch the commuter market. This has resulted in it being one of bmi regional’s most successful routes. Around the same time the airline added routes from Birmingham to Graz, Gothenburg and Nuremburg. “The primary focus is on point-to-point,” Schnadt explains, getting customers from door-to-door and quickly and seamlessly as possible. “This is always done with the most logical, simple route,” he continued. Looking to the future, Schnadt knows it is important to ‘Brexit-proof’ the company. In the long-term the carrier seeks a “sensible, pragmatic solution with ease of access,” he added. Schnadt also acknowledged his frustration with the process. “Limbo is also not great,” he explained. Currently working with only a British Air Operator Certificate, bmi regional may have to start negotiating another EU country to work out a solution. Facing a similar situation, easyJet announced earlier this year it would set up a base in Austria. The move allows the low-cost giant to continue operating within EU member states should the UK fall out of the Open Skies agreement. Schnadt is aware that simply sitting-tight and hoping aviation agreements will remain intact post-Brexit wouldn’t be wise. “Lack of planning causes chaos,” he advises. An Austrian himself, Schnadt points to convenient labour laws in his home country as one reason bmi regional might follow easyJet into the country. Although the carrier is unwilling to reveal and concrete plans as yet, “it will have to be finalised by October 2018,” Schnadt assures Breaking Travel News. Other strategies to keep bmi regional in the air include the potential purchase of larger aircraft. Currently, bmi regional runs an all-jet fleet comprising 20 Embraer 135 and 145 aircraft, each able to carry 37 or 49 passengers. Schnadt explains one possibility the airline is considering is to replace some of their fleet with larger planes in order to boost capacity on their more popular routes. He is aware, however, that it is important for the airline not to “try to do all the things”. “There is a changing commuter market,” Schnadt explained, people are now more open to working in one area and commuting back home for the weekend. With five years under its belt bmi regional looks well placed to face the coming storms and might well find more opportunities as the market continues to consolidate. 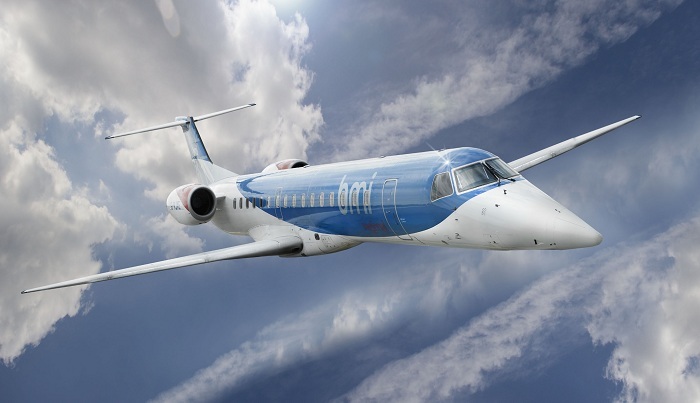 bmi regional operates an all-jet fleet comprising 20 Embraer 135 and 145 aircraft. The airline now operates over 400 scheduled flights a week across a network of 48 destinations in 11 European countries and employs more than 400 staff. The airline also operates an extensive ad hoc charter business and flies on a contract basis on behalf of other carriers. Find out more about the airline on the official website.